Print Media & Internet Media are excellent partners when displaying & marketing a product or a brand, both mediums tend to complement each other & are totally suited to the Real Estate sector. Print & Internet combined are powerful marketing tools & the demand for hard copy in particular pictorials never seem to wane with consumers. IP Media is the only organisations that offers its clients one of these fantastic mediums absolutely FREE be it print or internet. If an area pays for internet listings they would receive a free publication, where they pay for a publication in turn they receive free internet listings. The local Property Extra's are paid publications with all listings placed online, on 3 popular & descriptive titles that relate to Homes, Real Estate & Property. See below. 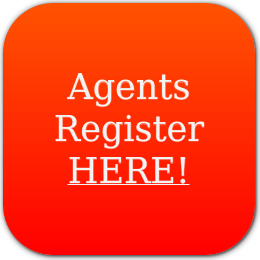 With the new IP Media online Agent Administration Console; Real Estate Agents Australia wide are able to submit their Print Advertisment and publish their listings automatically online and at no additional charge. We don't charge extra per web site like other Real Estate listing software and we also market each of our web sites within our Print publications to further better the Agents online exposure. Does this sound like something you would be interested in? Then we encourage you to Register today for FREE and give it a try. We are fortunate, we do not have large Directors Fees nor do we have major shareholders to consider. Just great Clients. Want a closer look at our Publications? Simply Click Here to fill out a form to have a complimentary Publication sent to you FREE of charge. To see the Print Media Publications coverage Click Here. What Seperates us from the rest of the competition? 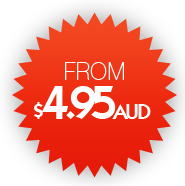 We have no hidden fees or aditional charges, you only get charged what we lay out infront of you right from the beginning so you know how much your going to pay for the entire time you are with us. We do not charge for "feature" listings instead we reward our Agents with our own listing rating system. The more information you supply the higher your listings are pushed within our search results. It's that simple and we guarentee you don't have to pay extra to get the extra exposure! If you need something custom built or have an idea you'd like to see implemented just let us know, we'd be happy to hear your idea and hopefully include it into our system at no extra charge. With the use of Google Maps and the latest SEO technology we guarentee that our web site(s) will display in all the major search engine results for Real Estate and other Real Estate related keywords.